Summer isn't exactly the busiest time for guitar teachers. Perhaps in an effort to change this trend, GuitarTricks is having a big summer sale. They are offering their yearly membership for $99, instead of $179. GuitarTricks is one of the oldest guitar teaching websites on the internet. I've talked about them many times over on this blog, since I think they create high quality material for their students. If you're not familiar with their site, check out my review of GuitarTricks.com, and you'll see what they are all about. They offer thousands of guitar lesson videos, packaged as a monthly (or in this case yearly) membership. 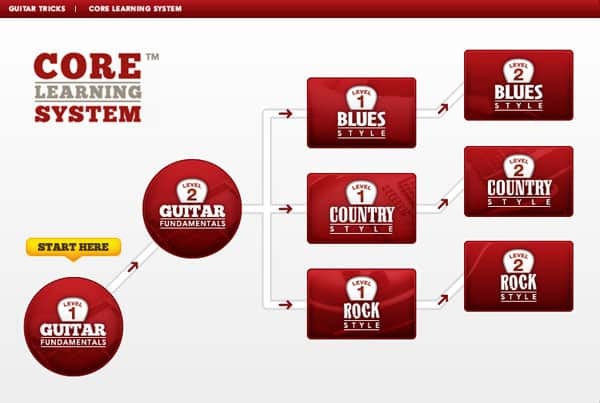 This means that if you sign up, you'll get access to all of their videos and other guitar educational tools.